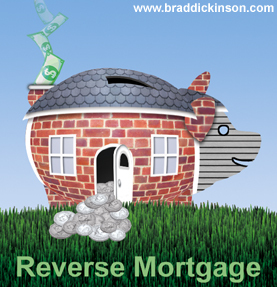 Reverse mortgage good idea if you lost your job? Not so sure. Are reverse mortgages a good option for seniors who have lost jobs, savings? People age 62+ have the option of tapping their home equity through a reverse mortgage, where by the lender pays you a lump sum or monthly installments that you do not have to pay back until all the senior title holders of the home have passed away or moved out. Many seniors forced into early retirement or who were downsized or lost stock or retirement savings with the downturn in the economy, have turned to this option. With the aging Baby Boomer population, more are expected to do so in 2010. See what Mitsva’s Sheree R. Curry has to say about Reverse Mortgages in her HousingWatch.com article for AOL, illustrated by Mitsva volunteer Brad Dickinson (who is available to illustrate other projects if you know of anyone hiring).